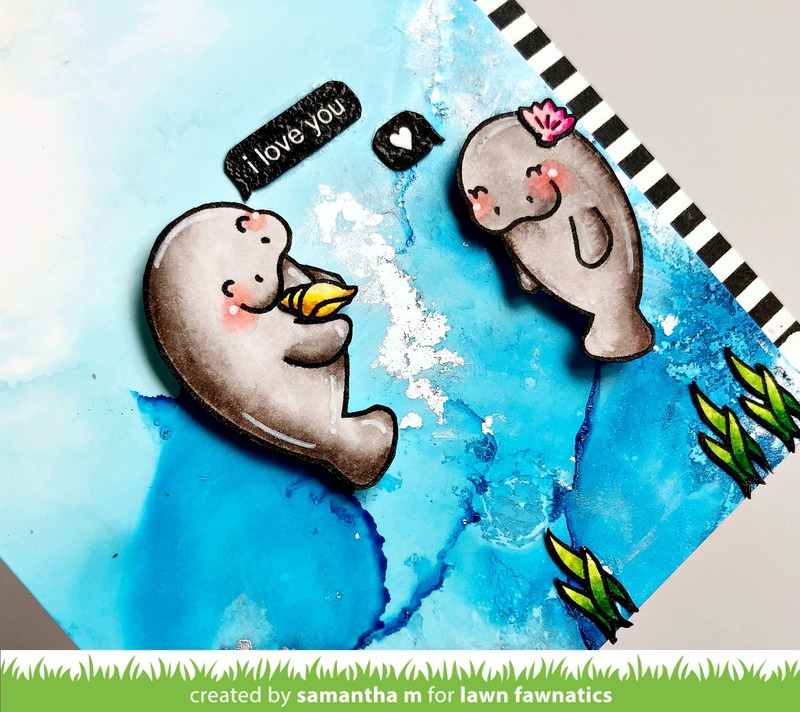 Sam's Scrap Candy: I Love You (Manatees) Card! today I have a card up on the Lawn Fawnatics Challenge blog! the latest challenge is all about love and valentine's day, so I created a sweet little card in that theme!! I used the ADORABLE Manatee-rific stamp and Screen Time stamp sets! the images were stamped and then colored with Zig Clean Color real Brush Markers! once they were dry, I fussy cut out the images for the sweet, underwater scene! the background was created with Alcohol inks! LOVE how it came out! I popped up the manatees, and then added some details with a white gel pen! be sure to play along with the latest Lawn Fawnatics Challenge blog, too! a-dorable! Love seeing all your pics with Vanessa at Creativation!